Washington Square Press, 9781416590576, 400pp. Luciano embarks on a perilous journey to uncover the truth. What he discovers will swing open the shutters of his mind, inflame his deepest desires, and leave an indelible mark on his soul. 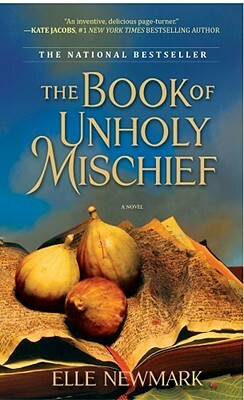 Rich with the luxurious colors and textures of Venice, The Book of Unholy Mischief delights the senses and breathes fresh life into an age defined by intellectual revival and artistic vibrancy. A luminous and seductive novel, it is, at its heart, a high-spirited tribute to the fruits of knowledge and the extraordinary power of those who hold its key. In a world of violence an d in trigue, who guards the truth?